A woman found dead following a house explosion in Kitchener, Ont., is now considered the victim of a homicide, police confirmed Thursday. 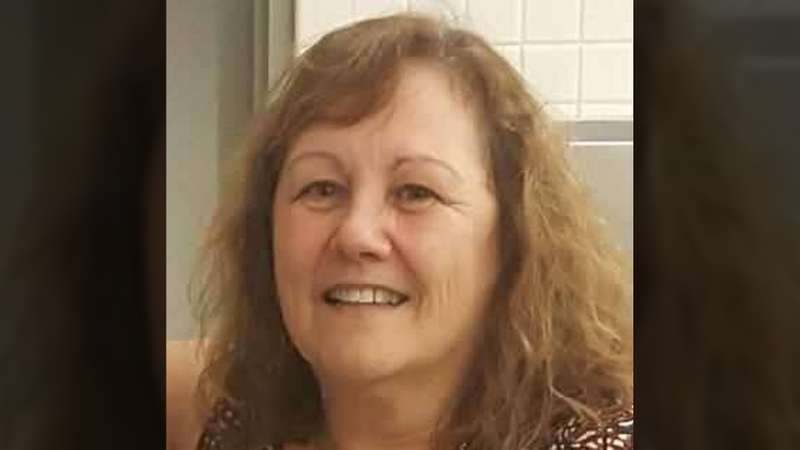 Edresilda Haan, 58, was found dead in the backyard on Wednesday morning, according to the Waterloo Regional Police Service. It’s unclear whether she died before or after the explosion, police said. The fatality was deemed a homicide following an autopsy and police investigation, Insp. Mike Haffner said during a Thursday afternoon press conference. “With evidence that we have extracted from the scene, as well as the results of the autopsy that was conducted by the Coroner’s Office, we are confident that Ms. Haan, her death, was the result of a homicide,” Haffner said. A 58-year-old man who lived at the home was airlifted to hospital with serious injuries following the blast. He remains in hospital, but police could not confirm his condition. Family members identified the man as Udo Haan. Witnesses said he was bleeding from the back of his head and had obvious burn injuries. Haffner did not identify the man by name but said he lived in the same house and was “related” to Edresilda. Police would not confirm whether he is considered a suspect. “At this point we are investigating the circumstances and we await for that individual to come out of hospital so that we can question that individual in relation to the circumstances of this explosion,” Haffner said. Haffner said investigators will determine whether Edresilda died before or after the explosion once they have safe access to the home. 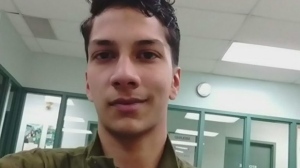 “The difficulty we’re having right now is the scene needs to be maintained safe for our investigators as well as the office of the Ontario Fire Marshal to access the scene, at which point in conjunction with the Coroner’s Office, I’m sure a determination of the time of death will be made,” he said. The force of the blast demolished the home and caused damage to two nearby residences. Residents from 16 nearby homes were evacuated as a result of the explosion, police said. A family dog was killed in the blast. A second dog survived and is now receiving care from a veterinarian. The couple worked together at Sun Life Financial, CTV Kitchener confirmed. The company lowered the flags at its Kitchener office to half-mast Thursday and issued a statement extending “heartfelt condolences and thoughts” to the couple’s loved ones and colleagues. Neighbours described the family as kind and quiet, saying they have lived in the Sprucedale Crescent home for about 25 years. Edresilda Haan, known as Edra to loved ones, is being remembered as kind, loving and dedicated. Her brother, Al Pinheiro, described her as a “very giving, very unselfish person” who was the caregiver and “lifeline” for her parents. 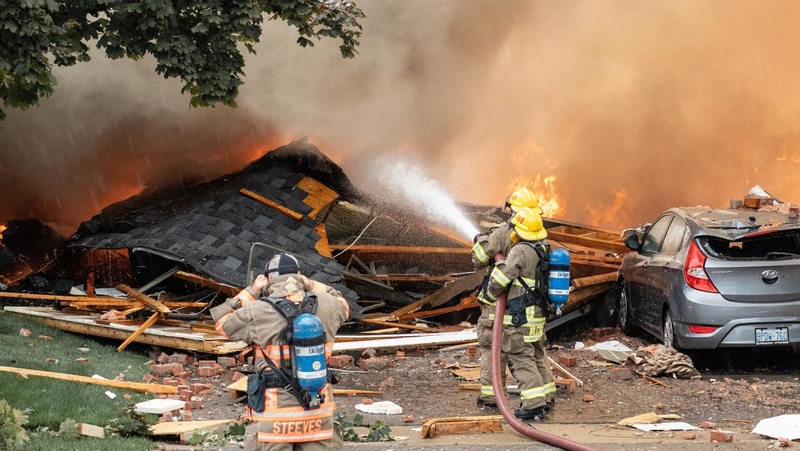 Kitchener deputy fire chief Rob Martin told reporters Thursday that he was hopeful people would be allowed to walk back to most of the evacuated homes later in the day, although the road around the explosion site would likely remain closed to vehicles until the weekend. “First and foremost, our priority is to return our residents to their homes,” he said. Martin said testing of the ground outside the home and the natural gas line leading to the home had found no leaks. He said the next step in the investigation was for heavy equipment to come in and pull apart the wreckage of the home. There will be an increased police presence in the area “well into next week,” Haffner said. Anyone with information related to the explosion is asked to contact the Waterloo Regional Police Service. 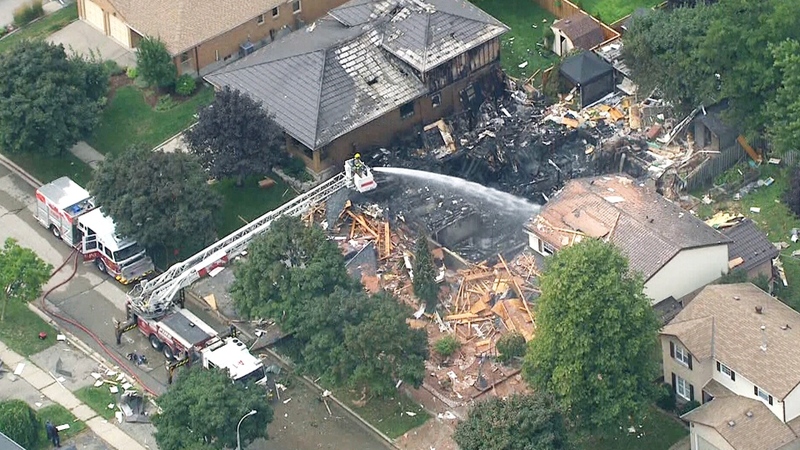 The CTV News chopper captures the devastating aftermath of a house explosion in Kitchener, Ont., Wednesday, Aug. 22, 2018.